An image, or text is cut from vinyl film, which in turn is applied to the substrate. 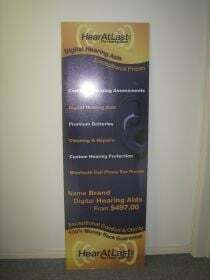 Vinyl can be printed with multi colors including text and images then applied to displays or signage. Vinyl graphics are an economical alternative to silk-screening, when producing smaller quantities.